IEG - India's latest transaction has been featured in VCCircle, India leading database for VC and PE. Bruhadeeswaran R has met IEG - India Managing Director Mihir Kapoor and Group CEO Stefan Heilmann and discussed the strategic alliance between Myles and MG Motor India. A more detailed interview with both will follow shortly. The original article can be read here. "At IEG - India, we focus on raising bridge capital in the range of USD 3-10m and larger Series B or C rounds." GERMANY-HEADQUARTERED INVESTMENT BANKING GROUP IEG's joint venture in India is actively scouting for growth-stage investment opportunities in the country, a top executive told VCCircle. IEG - India is representing three European family offices that are looking to co-invest in Indian technology companies, said the investment banking boutique's Managing Director Mihir Kapoor. "We look for companies that have already raised Series A funding and are subsequently looking to raise bridge capital in the range of USD 3-10m before a larger Series B or C round," Kapoor said. He further said that IEG - India, which primarily advises technology companies on fundraising, has identified a paucity of venture capital funds with the flexibility to invest in early-to mid-stage funding rounds. The general idea is to find the missing middle in equity investments that could provide a runway for a couple of years. IEG - India has an exclusivity agreements with the European family offices to cut cheques in the range of USD 1-3m in sectors such as ad-tech, fintech, e-commerce, software-as-a-service (SaaS), mobility and ed-tech. "While we have the flexibility in the deal contours, we have a pre-condition to exit the investment in the subbsequent equity round," Kapoor added. IEG - India was set up as an equal joint venture between Kapoor and IEG Chief Executive Officer Stefan Heilmann. Kapoor had previously worked with Dutch investment banking giant Rabobank. IEG - India recently advised Myles, a Delhi-based car sharing and car subscription company, on its strategic alliance with MG Motor India. Early last year, the firm also advised PayMate, a business-to-business payment solutions company, on its acquisition of Zaitech Technologies Pvt. Ltd, a peer-to-peer digital lending platform which uses artificial intelligence and machine learning. 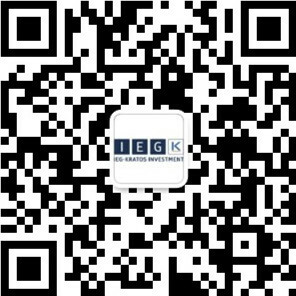 IEG - India is running a transaction volume of EUR 100 m+. Within the next 6 months the Indian team plans to launch their own investment vehicle with European family offices and HNI's to invest in bridge rounds post Series A financings. This article was published originally on February 11th 2019 by Bruhadeeswaran R on VCCircle.